One week from now, I will be sitting in the Old Town, attending a pub crawl that’s part of the jubilee we’re organising. “We’re been talking about this for almost a year”, our head of the junior division said today, “and now it’s almost here!” Just one week left! This week, we’re coming to the detail level and while it’s going to be a lot of work, it’s also going to be such fun. So much to look forward to. But I am also worn-out beforehand, maybe it’s because I’ve been beavering away in the kitchen until long after dusk tonight. 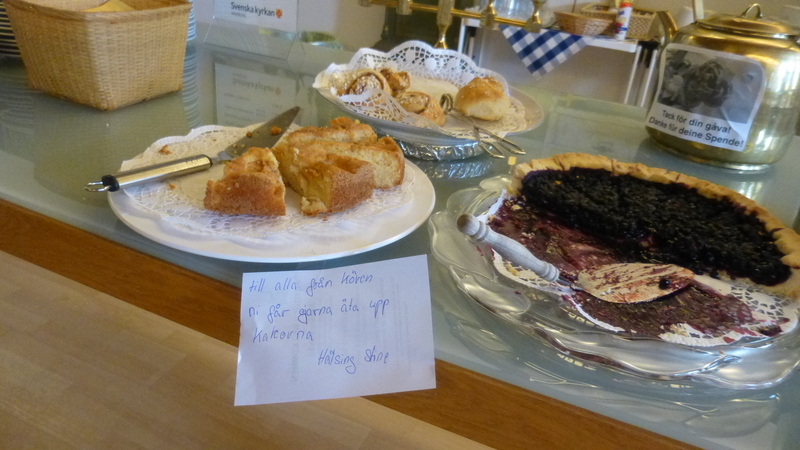 I’m fikaansvarig tomorrow and am defending my baking reputation with a recipe that I got from Michelle’s mom in Skåne some weeks ago, it’s a variation from Sju sorters kakor and I have great expectations. Speaking of fun, my extra co-worker persuaded me to join the project choir of the church. It’s a choir for people who can’t commit to a regular choir practice but want to sing – four rehearsals, four weeks, one performance. Perfect as a first step back into choir for me! The first rehearsal last week was already fun and yesterday it was even better. We’re singing four songs, two in German, one in English and one in, lo and behold, Latin. Luckily, there are some very strong candidates in every voice, it seems, so that it’s easy to get a pretty good sound. It affirmed my belief that human beings are made to sing. And we got some great news today! My press release made it into Dagens industri! The newspaper, which is often abbreviated as Di, is the most influential business paper in Sweden and reported about a company that we awarded our annual award to, and that’s how my press release ended up there. I was very pleased! 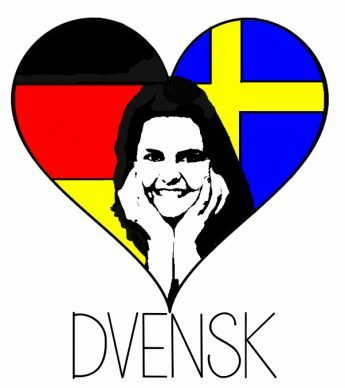 “Jag vill ha lugn och ro”. – “Det är fan fint med lugn och ro”. “Die Katze im Sack – det låter som en hip bar”. The alto part is on two notes, or if you’re lucky, three. Too high! Too low! Too fast! Too slow! You hold that note too long! In ranks of choral singers they’re considered very low. They’d love to be sopranos, but their vocal chords won’t let ’em. Sopranos, tenors, basses, all will form the heavenly choir. 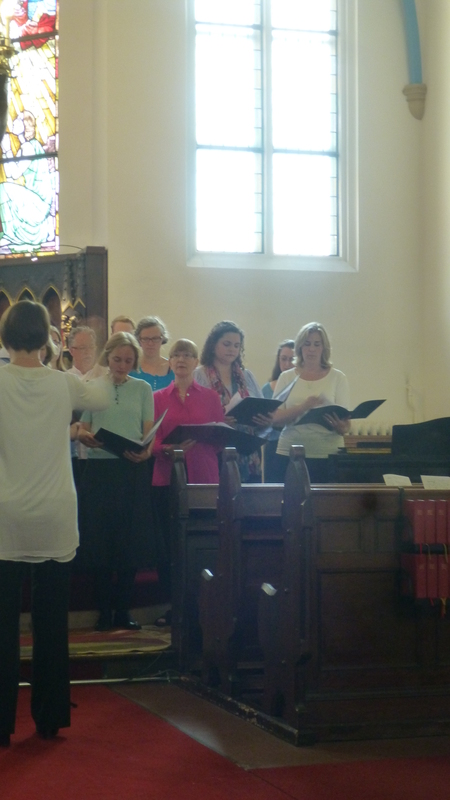 We altos in the corner will be polishing our harps. Signed – ‘Bob the Organist’, but never published. When I woke up this morning after sleeping very long, I felt like I had been out all night drinking heavily. Everything hurt, especially my head. I later spoke to my friend Malin who had also been doing Lucia all day yesterday and she confirmed that she had exactly the same symptoms. So I guess Lucia hangover is a real thing! We performed two more concerts today. Everyone was there, the most unexpected people: the Sweden-interested journalist I met on Twitter, my former colleague from Stockholm, a lady from Skåne I met a few weeks ago. Before and in between the concerts, we sit in the basement eating cold pizza and clementines. It is quite a funny sight, 25 ladies in white dresses and a few star-boys with pizza cartons. During the last concert, I decided it’s time to get a little crazy and sang without any text. By now, I know all the lyrics by heart anyway to the extent that I am sometimes not even mentally present but the words just float out of my mouth. Now recovering from Lucia with lussekatter the church gave us. And the lit Christmas tree. (yes, real candles) with it new ornament – also from church – made of pasta. 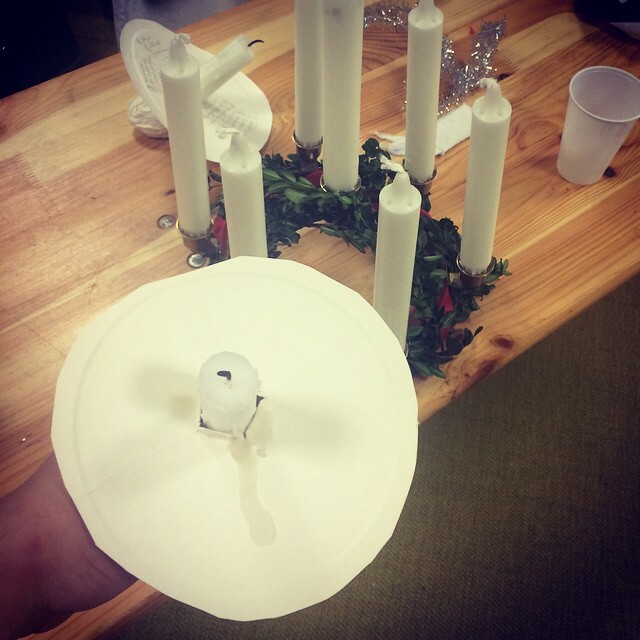 This week, we started singing Lucia songs in the choir. You might think it is early to start singing Christmas songs (Lucia is an advent tradition), but really it is only four weeks to our first concert. 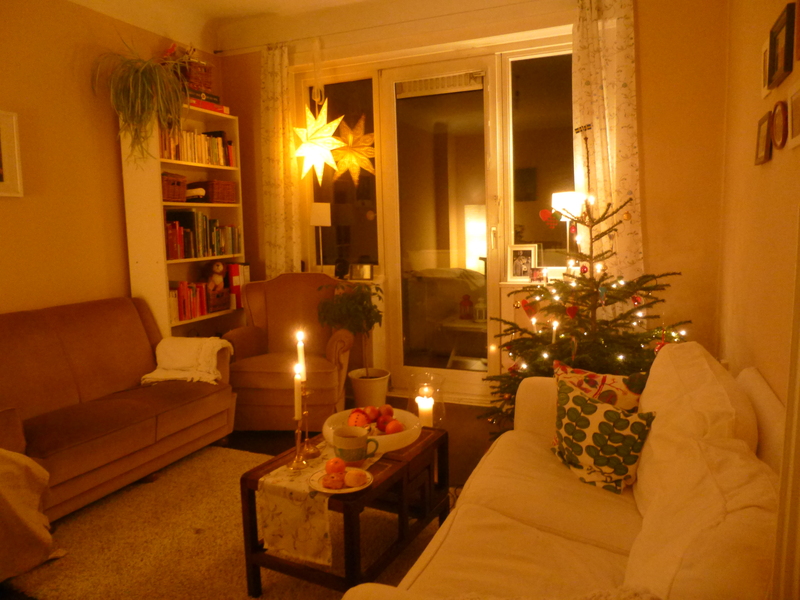 I really like the Lucia tradition. Last year I made it to six concerts in 40 hours. 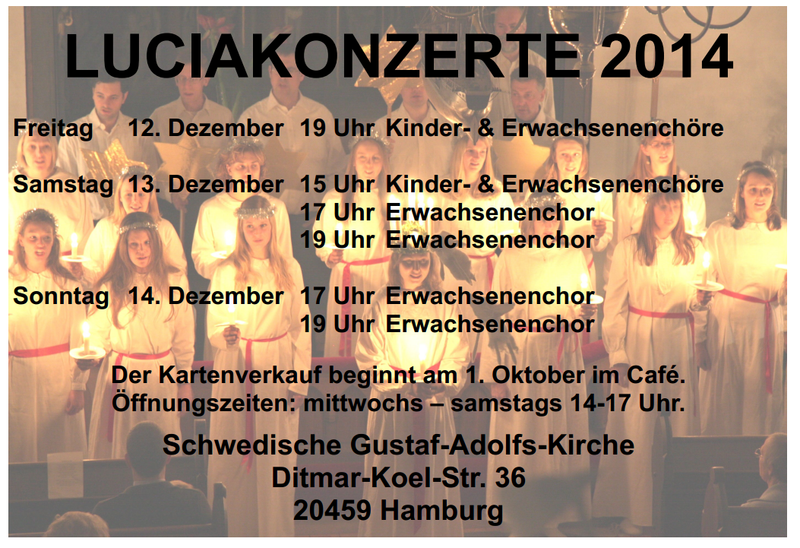 The Swedish choir in Hamburg sings Lucia every year so many choir singers are very experienced with the songs. 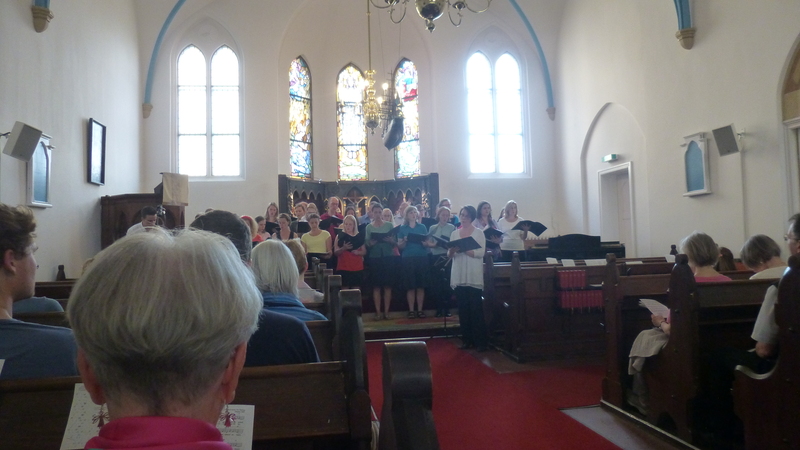 When our choir leader asked us to start off with “Sankta Lucia”, we all sang along and suddenly, I got such an extreme Christmas feeling that I started looking for snow to fall outside. (And right now, sometimes, temperatures still range at 20 degrees!) Music and certain songs always put me right back to the time they belong in. When I hear Värmlandsvisan, pictures of Spring Ball 2013 pop up in my head, when someone plays Händerna mot himlen, I am back on my way to work in Stockholm 2012. And “Nur noch kurz die Welt retten” puts me back into my Bremen apartment. I want to you come for your own sake because you need to experience this. 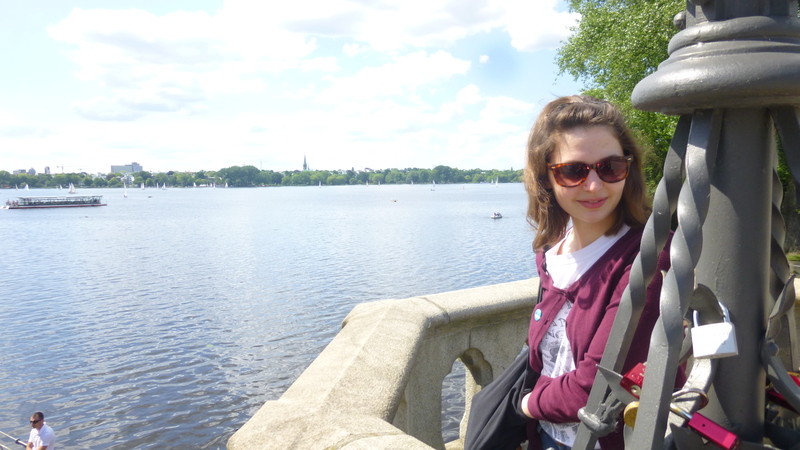 After the concert which lasted quite long I took Lisa to the Landungsbrücken, the hoods where I spent 80% of my time awake. 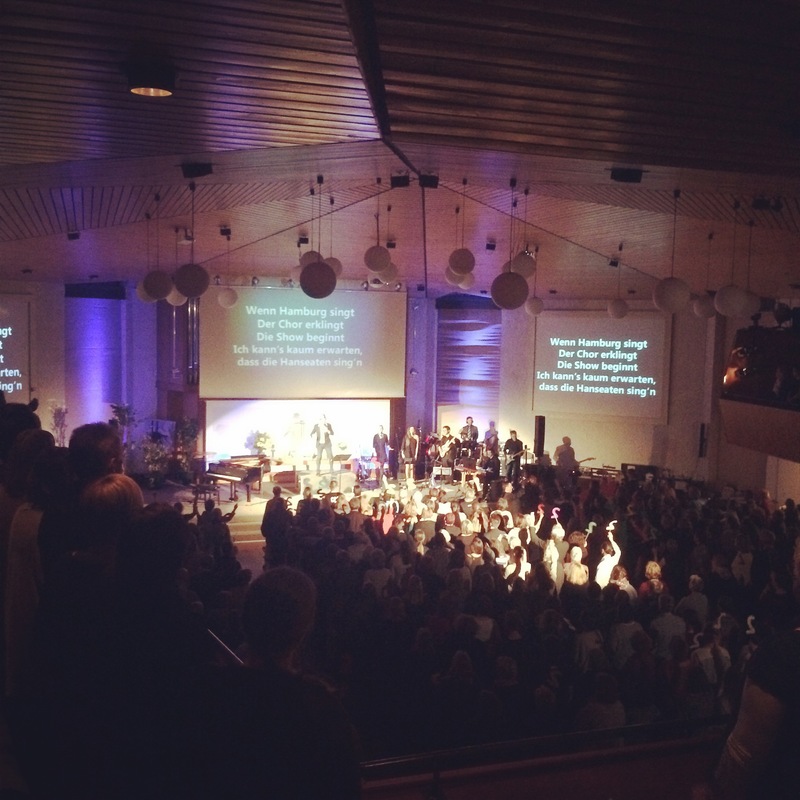 (It is both where my work and the Swedish Church is located.) We looked out over the harbor, I explained as much as I could (which is basically, “That’s a ship”. “That’s a large ship”. “That’s the Lion King venue.”) and after a view minutes it struck us: this looks like Gothenburg! Hamburg is Germany’s Gothenburg! Now everything falls into place, especially the constant rain. Joraine, my Gothenburg-based friend, is coming to visit soon. I am looking forward to hearing if she confirms my revolutionary insight. 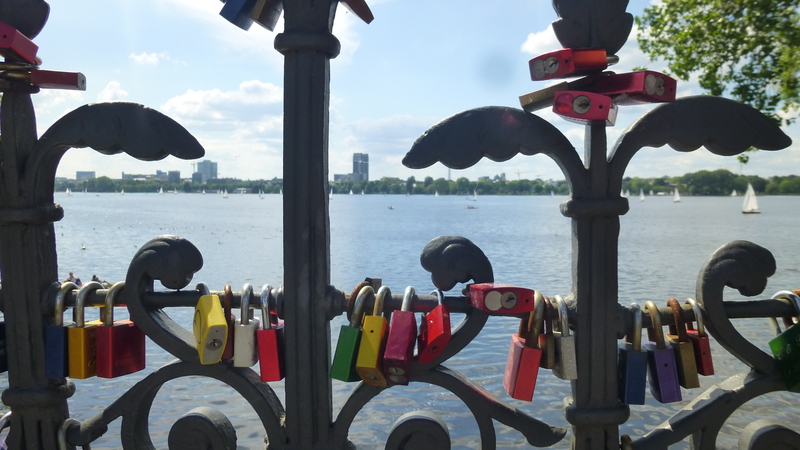 This is actually not at Landungsbrücken, but in my part of town, kind of. 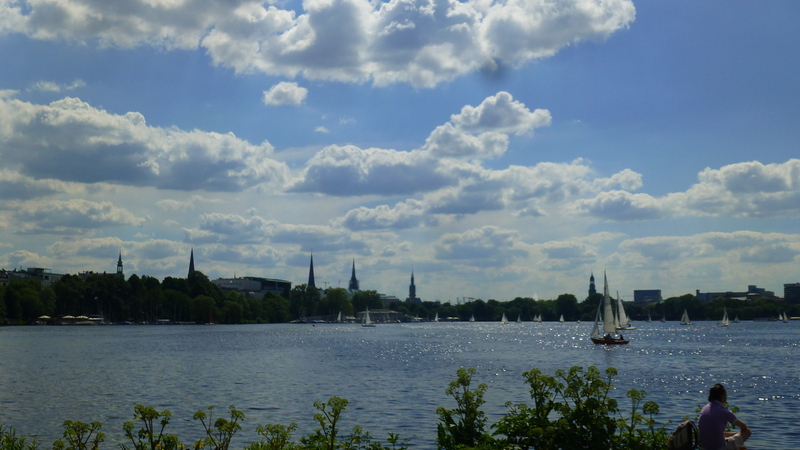 If you want it to, this even looks at little bit like Djurgården, just that this Mälaren (i e the Alster lake) is smaller. On weekends, there are countless boats and I really wonder if they only go in circles because I don’t think you can get out of the 587 square metres.